Researchers have spent years formulating the principles of effective intervention strategies for correctional populations. Many researchers support the risk-need-responsivity (RNR) model, which states that the risk and needs of the incarcerated individual should determine the strategies appropriate for addressing the individual's criminogenic factors before and after release. 1. Risk principle. Match the level of service to the offender's risk of reoffending, based on static factors (e.g., age at first arrest, history of arrest, current age) and dynamic factors (e.g., substance abuse, antisocial attitudes). Higher-risk offenders should receive more intensive intervention. 3. Responsivity principle. Maximize the offender's ability to learn from a rehabilitative intervention by providing cognitive behavioral treatment and tailoring the intervention to the learning style, motivation, abilities, and strengths of the offender. Antisocial values, beliefs, and cognitive-emotional states. 4 Ohio Department of Rehabilitation and Correction, Intensive Program Prisons web page. https://drc.ohio.gov/programs. Fretz, Ralph. 2006. What Makes A Correctional Treatment Program Effective: Do the Risk, Need, and Responsivity Principles (RNR) Make a Difference in Reducing Recidivism? This article describes the risk-needs-responsivity model, and the importance of generating a treatment environment. Grattet, Ryken, Jesse Jannetta, and Jeff Lin. 2006. Evidence-based Practice in Corrections: A Training Manual for the California Program Assessment Process (CPAP). 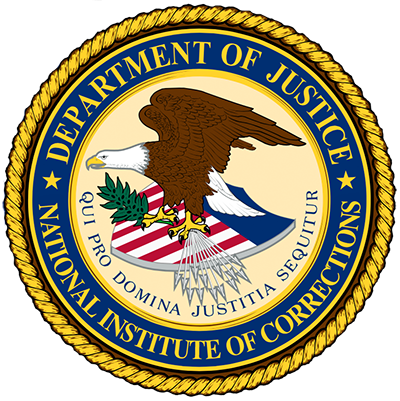 University of California, Irvine: Center for Evidence-Based Corrections. National Resource Center on Justice Involved Women. An online resource for professionals, policymakers, and practitioners who work with adult women involved in the criminal justice system. Scott, Wayne. 2008. Effective Clinical Practices in Treating Clients in the Criminal Justice System. Boston, Mass: Crime and Justice Institute. Let's revisit what we have learned so far in the Targeted Interventions Strategies module. Please answer the following question. Only static risk factors (such as gender and criminal history). Only dynamic risk factors (such as alcohol and drug misuse and impulsivity). Environmental risk factors (such as poor lighting and absence of security cameras). Both dynamic and static factors. Now that you have completed this section, you should understand the basis for effective practices central to the TJC model. By accurately assessing risk, you can determine the most appropriate treatment interventions. You should understand that only needs that are directly related to offending should be the subject of interventions. Interventions should be responsive to the offender's individual learning style, motivation, abilities, and strengths.